Nikolai Lugansky, brilliant laureate of the Bach Competition in Lipsk and of the Rachmaninov and Tchaikovsky Competitions. 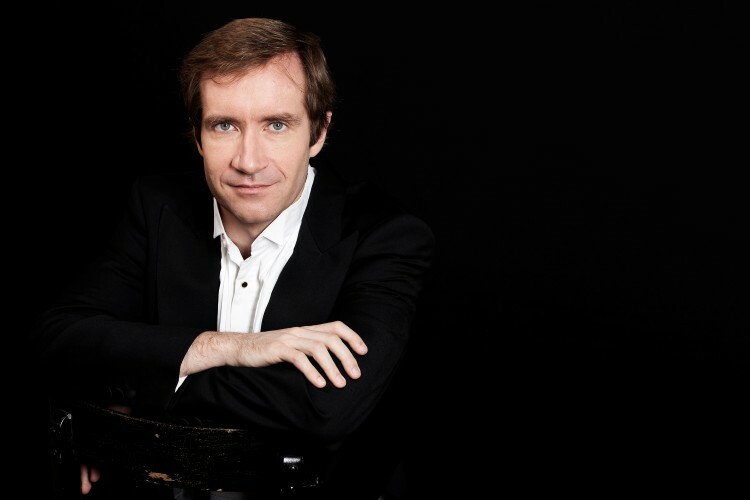 Today, Lugansky is a leading pianist on the international music scene. Each year he plays to capacity concert halls – whether in Paris, London, Amsterdam, Vienna, Brussels, New York or Tokyo. ises in a varied repertoire – from Mozart, through Chopin, Tchaikovsky and Ravel to Bartók. Lugansky plays with world-famous orchestras, such as the Orchestre de Paris, Orchestre National de France, the San Francisco, Chicago, Pittsburgh and Cincinnati Symphony Orchestras, playing under the direction of Vladimir Ashkenazy, Charles Dutoit, Emmanuel Krivine and Marek Janowski. Lugansky plays chamber music with Vadim Repin and Leonidas Kavakos and is invited to great festivals, performing regularly at La Roque d’Anthéron, Verbier, Baden-Baden, Salzburg and at the BBC Proms in London. His most recent performances include concerts in the Théâtre des Champs-Elysées in Paris, the Wigmore Hall in London, the Concertgebouw Amsterdam and the Konzerthaus in Vienna, as well as concert tours with the London Philharmonic Orchestra and Vladimir Jurowski, with the Orchestre de la Suisse Romande and Marek Janowski and with the Russian National Orchestra conducted by Mikhail Pletnev. His recordings for Warner Classics received many awards, including the Diapason d’Or for Chopin’s Etudes and Preludes and for Rachmaninov’s Moments Musicaux and Preludes, the Echo Klassik award for the complete Rachmaninov Piano Concertos under the direction of Sakari Oramo and the Gramophone Editor’s Choice award for Tchaikovsky’s 1st Piano Concerto. The album with Chopin’s 3rd Piano Sonata, 4th Scherzo and the Fantaisie Impromptu was released on Onyx Classics and the Naïve-Ambroisie label, with which Nikolai Lugansky signed an exclusive contract, released a CD of works by Liszt in 2012. Copyright © 2012 La Folle Journée. All rights reserved.